London: Robert Hale, 1959, Hardback in Dust Wrapper. Condition: Good — in Poor Dust Wrapper. Unlaminated dust wrapper a little edgeworn and faded with a little loss to the head of both panels and damp stain to the reverse. Upper board damp stained. Leans. Edges of the text block lightly spotted. Text complete, clean and tight but a little age-tanned. From the cover: “HERE is the real-life adventure story of a man who landed in Africa at the age of thirty, disappointed in love, thwarted in ambition, and almost penniless. Destiny drew him adventuring to Lake Nyasa, where he organised a handful of traders and missionaries in their fight against the Arab slave traders and led them single-handed in a night-attack on the enemy stockade. Undeterred by a wound that pained him all the rest of his life, he blazed a trail to the Kingdom of Buganda, pressed on into virtually unknown territories further north, and, in a later journey, trekked to the heart of the savage Kalahari Desert. Then, at thirty-eight, he found his true life’s task in Nigeria, where he raised the West Africa Frontier Force, curbed the cruel and turbulent Emirs of the North and, in the years that followed, laid the foundations of good government on which the country has grown into a modern state with democratic institutions, looking forward to complete independence. This man was Frederick Dealtry, Lord Lugard, the first and perhaps the greatest of Britain’s colonial administrators. Yet renowned as he was for his tremendous administrative achievements in West Africa, he was no ready-made governor, tailored in Whitehall. 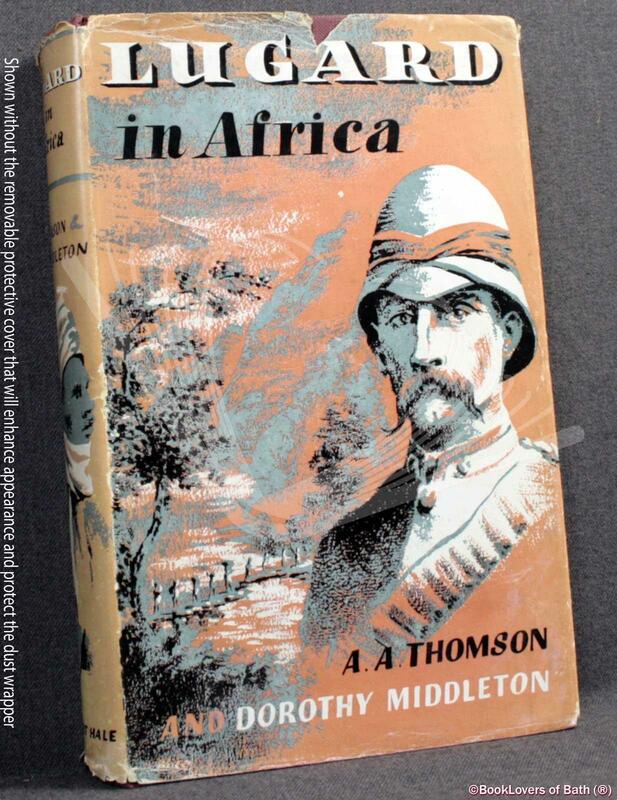 Nothing among his later successes is more vital and enthralling than the tale of those early African years — years of hardship and loneliness borne with incredible courage. Size: 8¾" x 5½". Red boards with Gilt titling to the Spine. 189 pages.